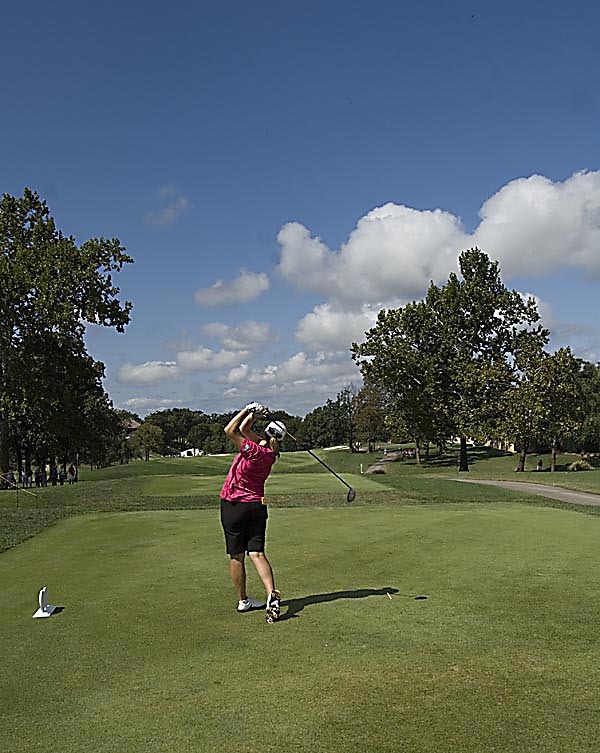 The P & G NW Arkansas Championship came to town Sept. 10-12. I feel like I walked around a little lost the first couple of days, but by Sunday I was able to focus in, and work on making pretty pictures. Winner Yani Tseng watches her ball from the 18th tee. This year was another exciting ending as it came down to the final putt. Karin Sjodin drops her club as she watches her ball after teeing off 17. Michelle Wie reacts to sinking a birdie putt on the 17th green.